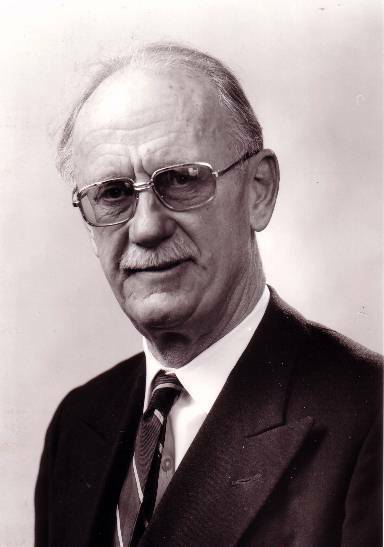 David Sylvester Bradley died in Lymington aged 85 on 8th July 04. David had a full and active life, in which many were touched by his generosity and joie de vivre. On leaving Bryanston School in Dorset he was not sure what he wanted to do, but influenced by his god-mothers fascination for radio, decided to take a course in radio engineering. When war broke out he joined the army. His personal qualities and outstanding flair for radio soon led to a commission and promotion in the Royal Signals. His distinguished war record resulted in being mentioned twice in Despatches. In 1944-45 he did detailed sketches and watercolour painting as a way to relax while driving the Nazis from Italy. When the war ended he accepted a permanent commission. His home service was often at Catterick in Yorkshire but he was mostly stationed abroad. There were appointments in Germany, Cyprus, and Kenya, and also Chief Signal Officer during a secondment to Malaya. He was awarded the OBE for his work in Cyprus. He was a great organiser of grand events for visiting notoriety. His horsemanship was equal to his exceptional technical ability, and at various time he kept horses and polo ponies, hunting in winter and playing polo in summer, thereby managing to combine an exceptional amount of sport with his army career. He played polo for Cyprus, Malta, Kenya, Selanger Kuala Lumpur and Tidworth teams, competing with, and often scoring plentiful goals against teams from all over the world. He put an enormous amount of time and effort in to the development of Polo, founding clubs in Kenya and Cyprus. He enjoyed skiing, he owned a succession of small yachts, played good tennis, squash, golf and croquet during which his witty comments in support of fair play were invariably accompanied by much good will and humour. A huge number of people benefited from his example and encouragement, particularly the young. After retirement, he moved to Lymington and, still a bachelor, came to live with yachtsman Erroll and Daphne Bruce  his twin sister. It was his habit to complete The Times and The Telegraph cryptic crossword before his breakfast. As a New Forest District Councillor for the Pennington Ward one of his main interests was housing issues. He was Chairman of the Keyhaven Harbour Commissioners for many years. He became a member of the New Forest (then Rhinefield) Polo Club at New Park, Brockenhurst later serving as Chairman then President. As Team Captain receiving a trophy presented to him by the Queen, she asked him where exactly Rhinefield was? and he informed her that it was in the New Forest, which put the club on to the royal map! Later, he welcomed HRH the Prince of Wales and his team to compete in the New Forest. In his later years, there was again time for painting. He also took up both creative and practical carpentry. He put together a golf group from the Royal Lymington Yacht Club, which he called The Southern League and with whom he played at Hythe - typically sporting his choice of rather colourful tie. He was a skilled bridge player and his small living room was often crammed full for a tournament. David Sylvester-Bradley was the ultimate sporting bachelor, a gentleman of the highest standards with an incisive intellect. In addition he was a good teacher and a person who brought fun and laughter wherever he went. He was one of those people who quietly put into the world far more than he took out. There will be a memorial with the Quakers on Sunday 17th October, 11.30am, at Lymington Community Centre followed by refreshments. All welcome. Please commemorate by donating to United Nations Childrens Fund (previously UNICEF). David will be sadly missed by his twin sister Daphne Bruce, his nieces, nephews and friends.